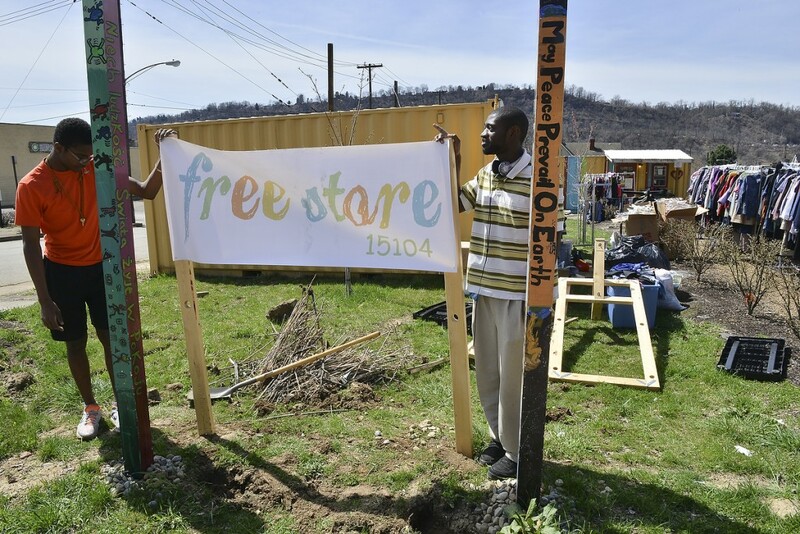 Raemon Prunty, left, and Nathaniel Smith are volunteers with the free store. It offers free clothing to anyone who needs it. Roughly 1, 600 people visit monthly, coming from Braddock and surrounding boroughs.